Photos from an exhibition by photographer George Osodi give a rare glimpse of Nigeria's many regional monarchs and show they have not lost any of their pomp and grandeur despite having no constitutional power. It is not known how many local kings there are in Nigeria, but a new exhibition in London gives a rare glimpse of these monarchs. They were stripped of their constitutional power in 1963, but George Osodi's photos show they have not lost any of their pomp and grandeur. 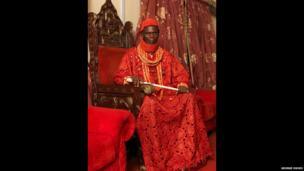 This monarch is the Ovie of Umiaghwa Abraka Kingdom, in the oil-producing Delta state. Mr Osodi, a Nigerian photographer, was granted rare access to the palaces and throne rooms of these rulers who enrich the cultural heritage of a country whose 160 million people come from hundreds of ethnic groups. 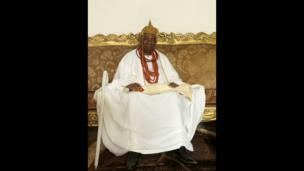 This is the Pere of Isaba Kingdom, which came into existence before the 14th Century and is mainly inhabited by the Ijaw ethnic group, who also live in southern Nigeria. The persona of a king reveals the ancient customs, architecture and fantastic finery of Nigeria’s many ethnic groups, Mr Osodi told the BBC. 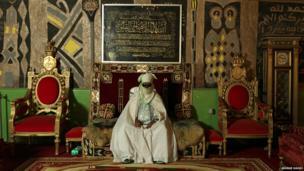 This is the emir of Zauzau, whose palace is in the modern-day city of Zaria in northern Kaduna state. Mr Osodi says the aim of his exhibition is to mirror Nigeria's great culture through its personalities and in this time of sectarian violence and insecurity, diversity should be seen as a strength rather than a weakness. 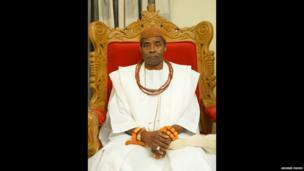 Pictured here is Agbogidi Obi James Ikechukwu Anyasi II, who died earlier this year. He was said to be the longest-reigning king in Africa – and was crowned the Obi of the Idumeje-Unor in southern Nigeria in 1946 when the country was still a British colony. Nigeria has 36 states, with a mainly Muslim population in the north, while the south is largely Christian. “There are frequent clashes among different ethnic groups,” Mr Osodi says. “Lots of people have lost trust in their identity. I felt it was important that we see this diverse culture as a point of unity instead of seeing it as something that should divide us as a nation. 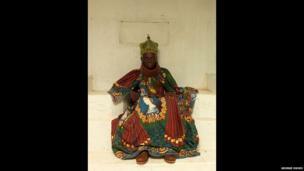 This is a monarch from south-western Nigeria, the Ewi of Ado-Ekiti. “The easiest way I could approach this was to look at the monarchy structure in the country because they are closer to the people than the governors,” Mr Osodi says. 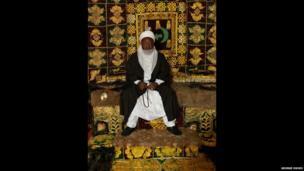 Alhaji Ado Bayero, the emir of Kano, has held his position since 1963. He is one of Nigeria's most prominent Muslim leaders. Mr Osodi says he has been disturbed by the continual ethnic clashes and security challenges facing the country. “I felt there was a misplaced priority and identity among some groups of people." 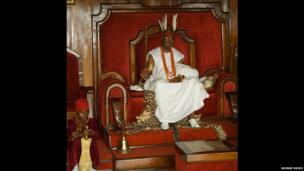 This is the ruler of Ijeshaland, known as the Owa Obokun, a territory which lies in several south-western states. 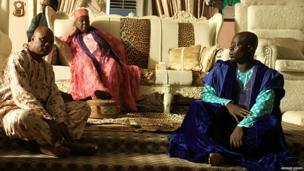 This is the Ooni of Ife, whose kingdom is in present-day Osun state in the south-west. Alayeluwa Oba Okunade Sijuwade was a successful businessman at the time he was crowned in 1980 – making much of his money from importing vehicles. 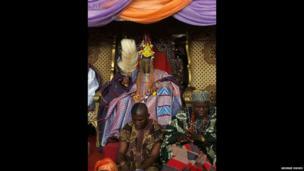 Nigeria's many monarchs vary in hierarchy and importance and some like the northern emirs and the Ooni of Ife rule over large areas, while others are traditional rulers of a village or town. 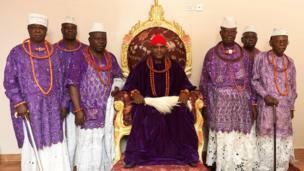 Ogiame Atuwatse II, the Olu of Warri, rules over parts of the southern Delta state, which is full of creeks and swamps. Ogiame means “king of the river”. Mr Osodi says documenting and archiving culture is key to understanding Nigeria's historical origins and thus developing a sense of national identity. 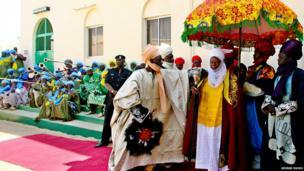 The Emir of Katsina, Alhaji Abdulmumini Kabir Usman, came to the throne five years ago. He loves polo and is the national patron of Nigeria's Polo Association. Regarded as a peacemaker, he lives in the Katsina Royal Palace, known as the Gidan Korau – a huge complex in the centre of Katsina city, reportedly built in 1348. “Nigeria is a country, not only rich in natural resources but also in its cultural and religious diversity,” says Mr Osodi. 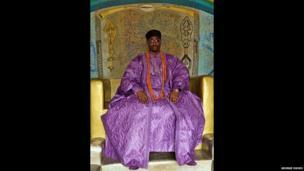 This is Oba Alayeluwa Saheed Ademola Elegushi, Kusenla lll, the Elegushi of Ikateland in Lagos state. Obi Alfred Nnaemeka Achebe is the 21st Obi of Onitsha, a traditional ruler in Anambra in south-eastern Nigeria – the home state of renowned Nigerian author Chinua Achebe. 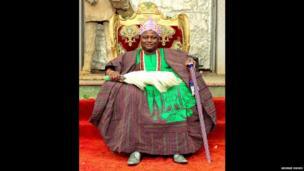 A teacher by profession, Oba Jimoh Oyetunji Olanipekun Larooye II, pictured here in his royal regalia, became the Ataoja of Osogboland, in south-western Osun state, in 2010. 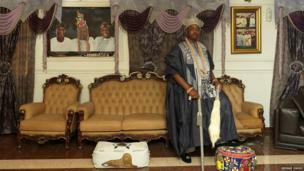 But one side of the royal family is disputing his claim to the throne, known as the Ataoja stool. “People are very proud of their origins and they still celebrate that and I wanted to showcase that Nigerians must look deep to examine where you are coming from,” Mr Osodi told the BBC.